One of the attractions of whiskey drinking as a lifelong pursuit is the sure knowledge there are always fresh flavours yet to be discovered. But the same infinite variety can be daunting when approaching whiskey for the first time. Last week I was at the Dingle Whiskey Bar in Nassau Street, Dublin, for their weekly tasting event. If you live in the city and have been meaning to get better acquainted with the spirit, start freeing up your Tuesday evenings because the moment for action has arrived. Mr Fionnán O'Connor has a residency there for the next while, and there is nobody on this island who speaks more enthusiastically or knowledgeably on the topic than the guy who literally wrote the book on Irish pot still whiskey. 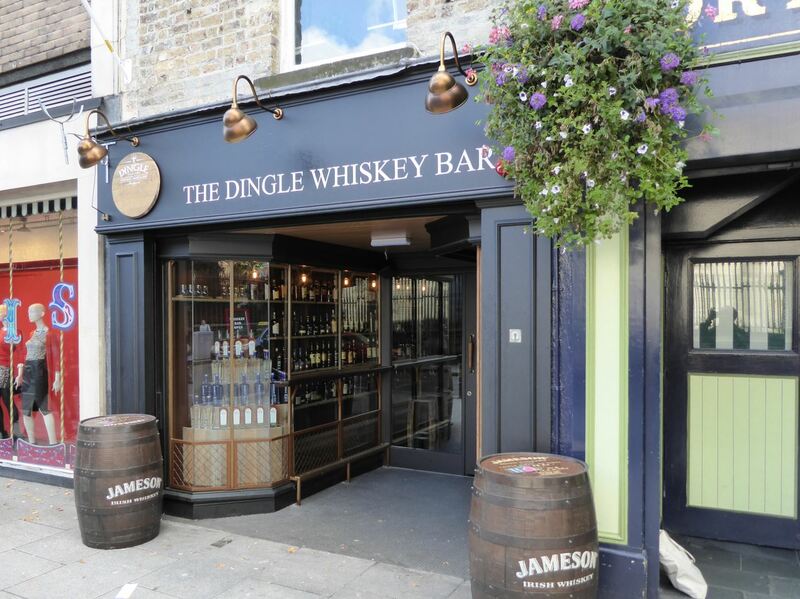 He also conducts the occasional all-day walking tour of Dublin, revealing the traces of a once-mighty whiskey industry, along with signs of its revival. He's both a friend and fellow member of the Irish Whiskey Society. Each Tuesday, Fionnán plucks five bottles from the bar's shelves (there are currently 165 to choose from) to illustrate some aspect of whiskey making. When I was there, for example, the theme was the effect of cask seasoning on maturation. So we tried Redbreast 12yo (with its sherry cask influence), Tyrconnell 10yo Port Finish, Tyrconnell 10yo Madeira Finish, Tullamore Dew 10yo Single Malt (which combines bourbon, port, sherry and madeira casks) and Yellow Spot (which features malaga wine casks). This week, the theme was the impact of oak. The varying line-up is a good excuse to return week after week. It's an education, painlessly administered. 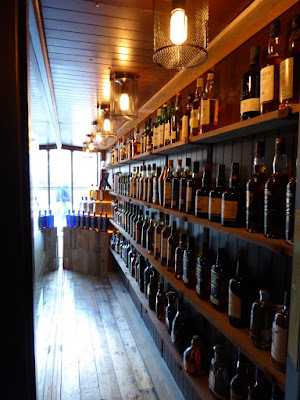 Regardless of the selected theme, Fionnán will explain exactly what you are drinking, and how and where it was made, with historical digressions, literary references and potted bios of whiskey personalities. Ask him anything and you'll get an honest, unbiased answer. These tastings are not sponsored by any whiskey company and so are free of the marketing noise that often obscures and distracts. It's €18 for each tasting, bookable online (you could also try showing up to see if there are seats free). I thoroughly recommend the experience and, if it sounds like your thing, try to catch at least one while Fionnán is hosting, before he moves on to other things.